Dodge Caliber is one of the few concept cars that are still in production. The introduction of the Caliber in 2007 lead to a quick fan following and gave new life to the 2.0L and 2.4L Chrysler engine. These engines were previously used in models like the Neon and continue to be a good seller for Dodge. 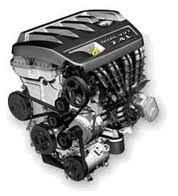 In our inventory you will find Dodge Caliber car engines for sale. We are a popular seller of rebuilt and used Doge engines and alway strive for perfection. Part of what is included in our inventory is the 2.4L and 2.0L engines although we have other Chrysler motors in stock too. Passenger cars still outsell SUVs and trucks in the U.S. The affordability of these vehicles makes them popular for daily use. The collapse of the auto industry in 2008 was partly the reason that larger engines were scaled back. The eco-friendly engines like the 4-cylinder Chrysler ones are still in production. There is no tradeoff between good gas mileage and horsepower. Our engines get shipped out each day to regular people and business owners that depend on good engines for all sorts of Chrysler vehicles. The Caliber is one of many that we provide engines online for and will continue to do so. Do you need rebuilt or used? That’s an important question. You have to first understand the differences between each type of engine. If you are here to buy used, you must also understand what condition we are speaking about when we use the term used. Engines that are covered in rust, have dry rotted hoses and that have over 125,000 miles are not in our definition of used engines. CarEnginesforSale.com engines are clean and closely resemble something that you would see in a car used by a dealership that is well taken care of by its owner. Engines that are from our huge inventory are ordered by junkyards and salvage dealers each day. These are what are sold to customers that do not know about our website. A rebuilt engine is something that we do very well. Inside of our facility is where work is completed. Nothing gets imported from another company. We have trained and educated our Dodge mechanics on how to take apart 2.0L and 2.4L engines without compromising the OEM design. All cleaning and assembly is done using the best tools and products. After OEM parts are installed, our mechanics go to our testing room and test the work they have finished. When we say you’ll get high quality we mean it. Making your decision on what engine to buy should be easier now. The only thing you have to know now is how much we charge for each of these types of engines. Get more for your money here at www.carenginesforsale.com. You can easily overpay elsewhere but not here. All you have to do is click on the easy to use submit button and our pricing is given to you. It’s easy and discrete. Call our toll free line at 1-877-630-3873 when you are ready to order. Do you have questions? Call us.